Sasu Tarkoma is a Professor of Computer Science at the University of Helsinki and Head of the Department of Computer Science. He is also Director of the Helsinki Center for Data Science. Vlada Laukkonen is a digital communications expert, self-taught web developer, founder of the LevelUP coders group and one of the key figures behind the Mimmit Koodaa (Women Who Code) phenomenon. Eija-Leena Koponen is Statistician and Data Scientist, who has been working fpr several years in startups and consulting. Currently she works as AI Lead at Someturva, enabling justice through machine learning. Main partners of Data Science Day present their talent in applying state-of-the-art data science and artificial intelligence on the main stage throughout the day. Antti Myllymäki builds and manages organizations focusing on large scale information management and AI, while Dr Juha Vesanto is a data analytics enthusiast who has built a career among Finnish businesses. Henri Nikula is the head of RELEX labs, a team dedicated to both exploring new business concepts and long-term initiatives. His presentation will talk about how data science can be used in the context of retail planning. Emma Storbacka is the CEO of Avaus, a leading innovator and consultancy in the field of customer experience, marketing technologies and advanced analytics. She supports Avaus clients in future-proofing their capabilities. Hassan Naseri (Ph.D.) is an Associate Manager in Artificial Intelligence at Accenture Liquid Studio Helsinki. His presentation will be about quantum computing. Network and discover what employment opportunities the top companies can offer you at our premium stand area, right next to the keynote stage. OP is the leading financial group in Finland. OP is committed to be one of the leaders of digitalization and firmly believe that this is a chance to build a better service-experience by listening to their customers. RELEX is a fast-growing software company developing products that help retail companies plan and operate more efficiently. RELEX is constantly looking for new talent, meet RELEX at Data Science Day and talk about new opportunities! Avaus is the Nordic leader in supporting customer-centric organizations with intelligence driven growth. By combining customer and contextual data to deliver exceptional brand experiences, Avaus helps grow client businesses and lifetime value of their customers. Accenture is a leading professional services company, with capabilities in strategy, consulting, digital, technology and operations. Accenture develops and implements technology solutions to improve their clients' businesses. Our exhibition area outside the keynote stage area welcomes you to discover new opportunities and connects promising employees to the best employers. What is the significance of data? What is a modern data scientist? Find out during the keynotes! Aalto University and the University of Helsinki educate future data professionals in their respective data science master's programmes. We have partnered with both to educate soon-to-be graduates on what it is they will do. Mikhael is a corporate relations professional and a recent graduate in social statistics from the University of Helsinki. 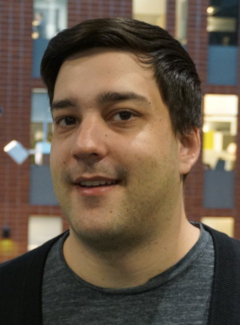 Mikhael has been involved with student unions at both the University of Helsinki and Aalto University. 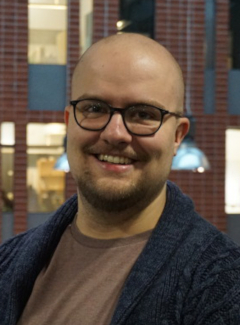 Tommi is a statistics and machine learning expert currently working towards a PhD at the University of Helsinki. 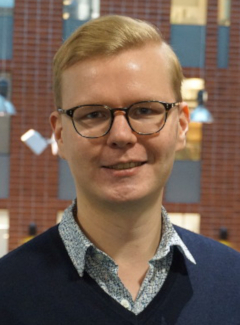 Tommi also teaches statistics and machine learning to professionals working in the corporate world as an independent consultant. Joni is a master's student in statistics at the University of Helsinki and the designer behind our event's visual brand. Joni has worked as a teaching assistant and is currently a statistician at the Finnish Cancer Registry.